Those of you who regularly read our articles probably know by now that my wife and I have 2 young boys Isaac (3) & Malachi (18 months) both of whom we’ve had to raise during the current recession, not the easiest of tasks! We’ve constantly looked for ways we can raise a baby on a budget and always tried to save money where we can. When we found out my wife was pregnant the first thing we thought about buying was a pram! Being a natural money saver I was shocked by the cost of some prams and was instantly inclined towards buying a cheap pram, but is it worth buying a cheap pram? Is There Much Difference Between Cheap & Expensive Prams? As a man with very little experience of pushing prams I couldn’t understand how there could be that much difference between all the prams on offer, especially not enough to justify the massive price differences. I was leaning towards buying a safety 1st Pram* which was on offer at just £99. It had wheels, looked sturdy enough and best of all it was cheap! My wife wasn’t impressed though. Some of our friends had recently had babies and shared their pram horror stories with her, she’d also read many pram reviews & articles like this one on the Internet and was very reluctant to buy a cheap pram. I’ve now had 3 years of pram pushing experience and agree with my wife completely, it just isn’t worth buying a cheap pram! I’ll explain why. When you find out your going to be a parent one thing is assured, your going to have to buy a lot of new things! Some of the lower cost items you’ll buy like baby clothes will only be used for a short period of time so they don’t necessarily have to be built to last. When it comes to buying a pram though durability is everything. You will use your pram in every day life for at least the next few years, think of the stress this will put on your pram! Although I’m sure you’ll want to take the best care of your pram, think of the daily strain your pram has to endure. It’s constantly being collapsed and put back up again, carrying your shopping and changing bags, being driven on and off of pavements and curbs all whilst carrying the weight of your ever growing baby! In my experience cheap prams are not as resilient as their more expensive counterparts. They aren’t built with the same high quality components as the higher priced prams. I’m not saying you have to buy an extremely expensive pram like those from the Stokke range* but when it comes to buying a pram I don’t think it pays to be cheap. It’s also worth remembering that like us you might end up using your pram for a future baby. If this does happen you’ll be even happier you invested in a better quality pram and not a cheap one! Although handling can be a problem on some of the more expensive prams, cheap prams are renowned for having terrible issues with steering and handling. I’ve pushed some of the cheaper prams out there and have always found myself getting annoyed within minutes because the pram seems to have a mind of its own! As we’ve already mentioned you will use your pram nearly every day so bad handling & steering can be a major issue to have to contend with! For a manufacturer to make a cheap pram compromises on quality have to be made somewhere to bring the cost down. We’ve already mentioned the use of cheaper parts but other areas that tend to be sacrificed are comfort and functionality. If you’ve ever laid on a cheap mattress and then switched to a more expensive one you’ll understand what I’m talking about. 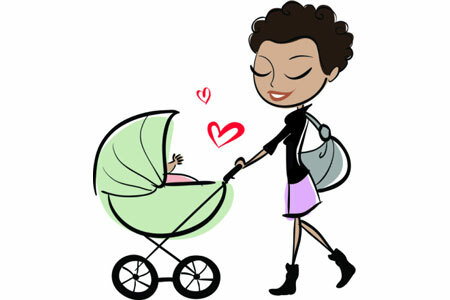 Your new baby will spend a lot of time in a pram, time that I’m sure you’d prefer your baby to be comfortable and peaceful! Also if functional features on a pram are sacrificed to make it cheap, it can affect your comfort when pushing the pram. Features like handles which are height adjustable and well designed shopping baskets can make daily outings much more manageable but are features that can often be lost when buying a cheap pram. Although a pram might seem to be cheap on face value this might not always be the case. Needed accessories like rain covers, parasols and foot muffs etc are not always included when buying a pram, especially a cheap pram. Once you factor in the cost of buying all these extras for a cheap pram you might find that the pram isn’t so cheap after all! From experience I would always advise that when you come to buy a pram you buy the best you can afford. If a cheap pram is all you can afford then certainly don’t get into debt to buy a more expensive pram. If by cutting back on other things though you can manage to up your pram budget, I think buying a good quality pram is one of the best investments you can make for you and your newborn. Where Can I Buy Cheap Kids Shoes Online? 10 Responses to Is It Worth Buying A Cheap Pram? Hi – I agree totally. I’d always go for the most expensive and durable pushchair that you can afford. As well as making sure that you have something that will last for several years (and possibly several children!) it’s worth bearing in mind the resale value. When the second of my two kids was born we had the usual shock of realising that we would need to buy a dual pushchair. We opted for a Phil & Teds which cost a small inheritance, but which we were able to sell on eBay two years later for about 50% of the price that we paid for it. A friend of ours had a Phil & Ted pram and I was really impressed with the off road capability of the pram when we went on country walks in the Yorkshire dales. Something else you might not think about when buying a pram but may cause problems if you’re a fan of the great outdoors! I am all about safety and versatility so the most versatile and stable chair I could afford would be the one I would get. I want to run behind the stroller, walk long distances, and carry extra things. To me having that is worth the money. Yes if you like long distance walks a sturdy pram is a must. The last thing you need is a wheel falling off when you’re miles from civilisation! When it comes to things for children I believe that safety and durability are a top priority. Yes these large items cost a lot of money, but if a person bought something cheap that fell apart or injured their child they would pay for it in regret for the rest of their lives. I agree Sicorra! Our boys were so fragile in their first few months of life, pram safety was and still is essential! I think I need some of your coffee! Sore subject here! We *had* a nice jogging stroller, got rid of it a few years back, then bought a new Graco because it was cheap when Little Miss came along. It’s amazing how cheap this thing is! Brand new? Check. Name brand? Check…Graco’s a good name, or so I thought. Piece of crap? CHECK! Sorry Michelle, didn’t mean to open a can of worms!